RADM(DR) Tang Kong Choong joined the Singapore Armed Forces (SAF) in 1992 when he received the Local Study Award (Medicine). He graduated from National University of Singapore in 1998 with a Bachelor’s degree in Medicine and Surgery, and was awarded the Masters of Medicine in Anaesthesiology in 2004. After his commissioning as a Captain in 1998, RADM(DR) Tang joined the Republic of Singapore Navy Medical Service. As a Navy Medical Officer, he held numerous section and branch head appointments, including Head Submarine Medicine Section, Head Naval Medical Operations Centre and Head Underwater Medicine Centre. RADM(DR) Tang was responsible for planning the naval medical support for Operation Flying Eagle in the aftermath of the Boxing Day Tsunami in Dec 2004, for which he was awarded a Letter of Commendation. In 2008, he was sent on a recce mission to Afghanistan, in preparation for SAF’s first medical team deployment to Tarin Kowt, Uruzgan. RADM(DR) Tang also participated in numerous medical socio-civic missions such as Operation Surya Bhaskara Jaya, Indosin Bhakti Sosial and Pacific Partnership. From 2010-2011, RADM(DR) Tang held two key appointments in the Headquarters, Medical Corps: Deputy Commander, Military Medicine Institute (Primary Health Service) and Senior Medical Staff Officer. He assumed the appointment of Chief Naval Medical Officer, and concurrently as Commander of Force Medical Protection Command from July 2011. He became the Chief of Medical Corps in May 2015. RADM(DR) Tang serves as a Consultant Anaesthetist in the Department of Anaesthesiology, Intensive Care and Pain Medicine, Tan Tock Seng Hospital and a Consultant in Diving and Hyperbaric Medicine, Singapore General Hospital Hyperbaric and Diving Medicine Centre. He completed a fellowship in Burns and Trauma Anaesthesia at the Alfred Hospital, Melbourne, Australia in 2009. In 2015, he was appointed to serve as board member to the Agri-Food and Veterinary Authority. 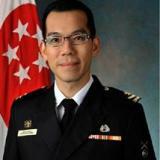 RADM(DR) Tang is also the Chairman of the National Advanced Trauma Life Support Committee, Singapore. Check out the incredible speaker line-up to see who will be joining TANG .